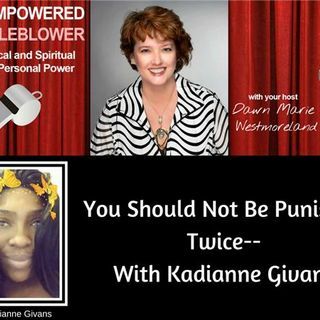 Kadianne is a remarkable woman who made a choice that landed her in prison for many years. While she could have been bitter, Kadianne chose to elevate herself by educating herself with books and choosing to help others stay out of prison, today. Her story will "move" you. She is a co-author of "The Strength of My Soul" book, which was presented by SharRon Jamison. I am grateful to also be a co-author in this award-winning book. You can read Kadianne's story by purchasing the book here: https://www.amazon.com/Strength-My-Soul-Sisterhood-Inspiration-ebook/dp/B01AKUQE5O Kadianne recently earned her AA degree and is continuing her education.